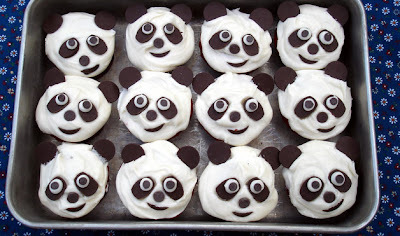 Oh, the pandas are so sweet! Each has its own charachter, funny. 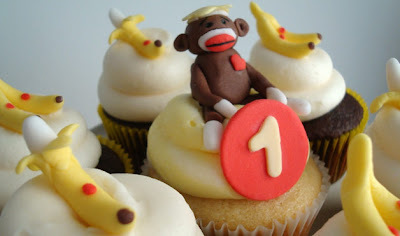 Oh I love the little monkey cupcakes! Even though I love eating them, I've only baked cupcakes once: when I made some anti-Valentine's Day mutlicolored ones in Feb. They tasted yummy...even if the toppers said "Bite Me."